Unfortunately, the situation is even more problematic than a public school assigning a religious text. It turns out that the punishments were specifically doled out to LGBTQ students. 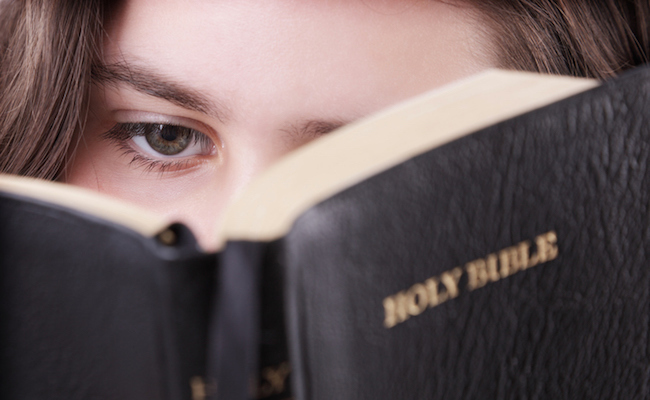 Sign the petition: Replace the superintendent who punished gay student with the Bible. What kind of “pray the gay away” nonsense is this? While it’s sadly no surprise that there are uber-religious individuals who think a dose of Jesus can “cure” gay kids, surely school officials understand that they can’t force Christianity on students in a public school context. Moreover, treating students of certain sexual orientations to separate punishments than other students receive opens up a whole new set of legal problems. That’s not the only example of homophobia reported in the district. One teenage girl reported to a school official that a fellow student had smacked her with a skateboard and called her a gay slur. The official declined to do anything about the situation because homosexuality is a “choice” and that person did want to defend it given their religious perspective. Furthermore, a counselor who advocated on behalf of LGBT students on campus alleges he “suffered retaliatory action” from school administration for demonstrating tolerance and acceptance. Given that school leadership was not addressing the hostility, complaints were brought to the Oregon Department of Education instead. The ODE acknowledges that it appears as though cases of discrimination have occurred within the district. A meeting has been scheduled for May 24 to discuss the accusations of discrimination and how to better handle these situations in the future. The problem here clearly starts at the top. Superintendent Yester should know better than to exhibit discriminatory behavior against students on the basis of their sexual orientations, not to mention force them to read religious texts as a form of punishment. Given the bad judgment he’s demonstrated, we call on the ODE to dismiss Yester from this position and replace him with someone more suitable for this important job. This makes no sense. The Bible barely mentions lgbt. This shows ALL of the students that reading the bible is punishment. Wonder how the deeply religious kids feel about that. Signed , Religion the root of all evil .